Hialeah Florida can be a torturous place for your roof. With the sun continually hanging low and beating down and the torrential rains and high destructive winds of a summer storm a roof can take a beating. Early signs of roof damage can sometimes be ignored. That in itself can mean a world of difference when it comes to deciding whether household owners need a roof repair or roof replacement. Catching issues when they are still small is relatively better than learning from them when they are already so severe and untreatable. Roof replacement is not a quick and straightforward thing. So before bumping into the serious decision of a complete roof replacement, be sure that you are aware of the early warning signs of roof damage. Ceiling discoloration or drips is the most common sign of roof damage. Roof leaks no matter how small and irrelevant can become a serious problem in the long run. An obvious roof leak is brought upon by many factors. Algae and mold growth on your roof can not only appear unpleasing, but will cause shingles to deteriorate and rot because they retain moisture habitually. Algae and molds occur mostly during warm and humid months and are caused by the growth of airborne fungi deposited on the roof. They may affect the overall life of the shingle and they can instigate probable problems as they accumulate. Deformity of shingles is also a clear sign of roof damage. When the shingles are curling, buckling and losing granules, they may have passed their life expectancy. Curling shingles are brought upon by water absorption or hot air in the attic. While buckling shingles are caused by improper application of felt or any intense movement or shifting in the deck of the roof. When the shingles are no longer in their proper form, they no longer efficiently protect the roof from potential leaks and damages. In addition, missing or cracked tiles or shingles that are usually caused by strong winds and heavy rains are an obvious warning that homeowners need a new roof. Call us to schedule your free inspection and get this process. Cracks in the flashing are an apparent warning sign of a damaged roof. 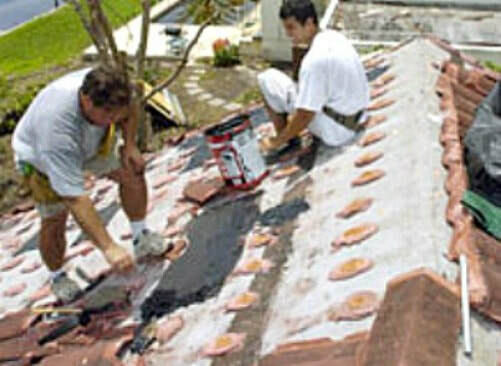 Flashing is usually lean pieces of metal that are mounted under the shingles and on the joints of the roof. These are made to create a water-resistant barrier that can either be concealed by having a rubberized coating over top or exposed by looking like long runs of sheet metal. Large cracks in the flashing absolutely mean that they are broken. This happens when the tar used in sealing the flashing together corrodes as time goes by. Elements such as wind and rain can break the exposed flashings. Overheating in the attic can badly mean the roof can be damaged. Attics are designed to have proper ventilation so they can serve their purpose in the house. When the attic does not have enough ventilation, the environment in the attic which rises to a very hot temperature will bring severe damage to the roof and framework of the house. The hot temperature in the attic will make the asphalt material of the roof shingles melt which will then create damaged areas where rainwater can leak. The extreme heat and moisture can also warp or rot the roof trusses and the upper framework of the house. Whenever you feel like your household electricity bills mounting and your AC overworking it can be your AC but could also be an energy inefficient roof surface. When your attic is overheating and Increased AC are factors, a lack of ventilation from the roof needs to be addressed in addition to the inefficiency of the roof covering. No homeowner wants a leaking roof. Even the slightest sign of a roof leak that requires only a bucket as a solution will eventually need a bigger repair and huge amount of expense in the future. To be able to save your family from the inconvenience of a failing roof and cost of a misguided decision, watch out for early warning signs that will help you in determining whether it is already the time to replace your roof or the circumstance just require mere minor repairs. 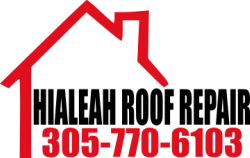 Call Hialeah Roof Repair today for a Roof Inspection.